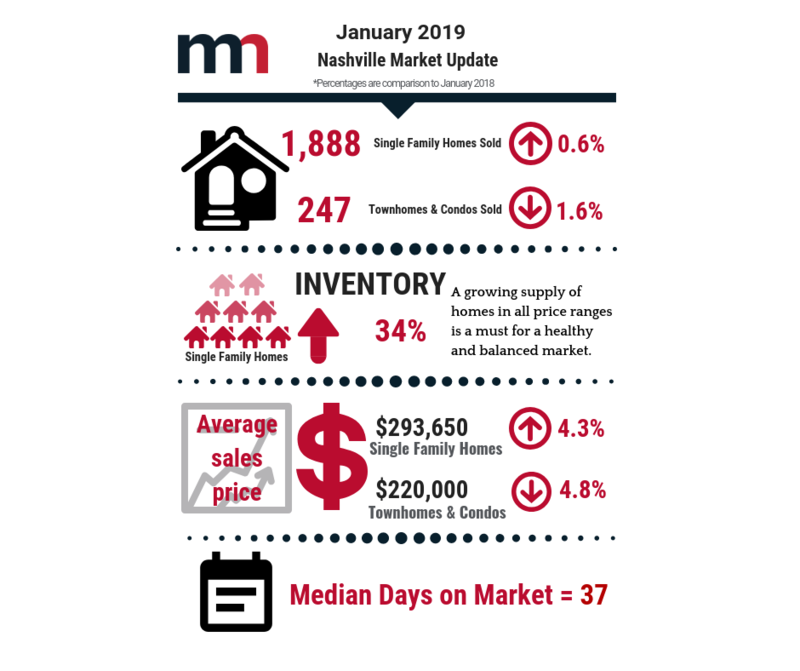 There were 2,274 home closings reported for the month of January, according to figures provided by Greater Nashville REALTORS(. This figure is down 1 percent from the 2,298 closings reported for the same period last year. There were 2,853 sales pending at the end of January, compared to 2,951 pending sales at this time last year. The average number of days on the market for a single-family home was 40days.